Esri vector basemaps, in beta, are available as vector tile layers and maps for display in the Map Viewer and custom basemap galleries. The November update to ArcGIS Online includes new features and apps, enhancements to the user interface, and improvements to administering and managing accounts. Here are the highlights from this update. To get more details and links to helpful resources, head to the What’s New page for ArcGIS Online. 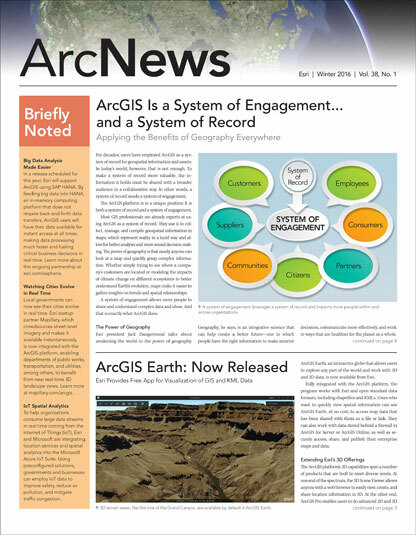 To receive ArcGIS Online news directly in your inbox, sign up for product emails. The latest release of ArcGIS Online introduces initial support for vector tile layers as layers in web maps. A vector tile layer references a set of web-accessible vector tiles and their corresponding styles. Similar to image tiles, vector tiles store data as vector representations. 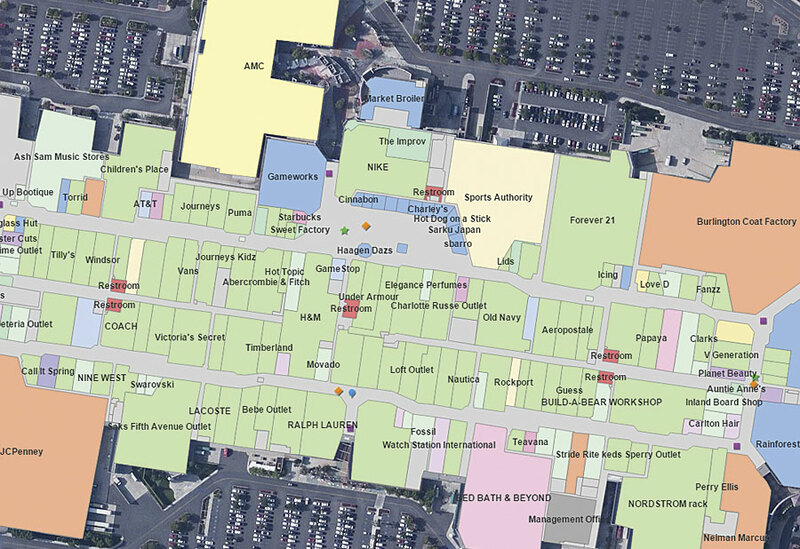 Smart mapping's new map styles illuminate multiple data attributes. Users will be able to customize vector tile layers to fit the purpose of the map, driving dynamic and interactive cartography. The tiles will also adapt to any display resolution, which often varies across devices. Users can access beta versions of Esri vector basemaps—available as vector tile layers and as maps for display in the Map Viewer—and use them in custom basemap galleries. Mapmakers now have more control over authoring and editing maps. They can reorder bookmarks and add a halo outline to labels and map notes text. When browsing layers from the Living Atlas of the World, they can find layers based on their current map extent. Using imagery layers has gotten easier too, with improved query capabilities for pixel values and an updated multidimensional slider. Additionally, the Map Viewer now honors time interval and time interval units configured on time-aware layers. And Directions includes additional options for finding destinations. For example, if an organization has configured custom geocoders, or if the map includes searchable layers, users can select one of those options to search for destinations for their route. The Scene Viewer now allows users to create and view local scenes that present content in any projected coordinate system. Local scenes are great for displaying data in a small or local extent; they also allow for easy visualization and navigation underground. Users can add outlines to the point symbol options for color, width, and transparency. They can collaborate on scenes within their organizations, too, through shared ownership groups. And, finally, users can now experience the starry night sky and watch the sun rise and set in their scenes. Additionally, users now have better control over the slider controls on the smart mapping histogram, and it is more evident that values can be set manually for numbers seen near the histogram. New color ramps also provide a modern feel that works well under reduced transparency. Hosted feature layers now have a new edit tracking option that allows editors to view, update, and delete only the features they add. This gives layer owners increased control when managing features created by multiple editors. World Imagery, World Street Map, and World Topographic Map can support the display of large-scale data in or on basemaps thanks to additional levels of detail in the tiling scheme. Demographic maps for more than 20 countries, including Canada, now contain more current data. Field crews can use Workforce for ArcGIS to get work assignments and communicate status updates back to the office. Slated for release in beta in January, Workforce for ArcGIS helps field crews work like a team. Users in the field can use the app—and just one device—to easily get work assignments and communicate status updates back to the office. Supported on the iOS platform, Workforce seamlessly integrates with all mobile ArcGIS apps, including Navigator for ArcGIS, Collector for ArcGIS, and Survey123 for ArcGIS. When combined with Operations Dashboard for ArcGIS, the suite of ArcGIS apps provides a robust solution for optimizing fieldwork. AppStudio for ArcGIS is now out of beta and is included with ArcGIS Online subscriptions. AppStudio Basic lets users turn maps into beautiful, consumer-friendly mobile apps that run on all devices. No developer skills are needed, and apps can be published to all app stores. The AppStudio Standard upgrade allows users to distribute apps within the enterprise and add more functionality and features to apps built using AppStudio’s configurable templates. The standard version also allows developers to create custom apps. Get more information. Survey123 for ArcGIS, which allows users to incorporate smart forms into field data collection, is now in beta. Available in the Apple, Google Play, and Windows app stores, this easy-to-use mobile app lets fieldworkers capture data on- and offline. And as a solution for form-centric data collection workflows, Survey123 is an excellent companion to Collector. Learn more and get the app. With Survey123 for ArcGIS, smartphones can easily capture form-centric data. Web AppBuilder for ArcGIS has four new widgets. The Batch Attribute Editor widget allows users to simultaneously edit multiple attributes. The Reviewer Dashboard widget displays data quality result statistics as infographics, such as pie and bar charts. The Feature Report widget collects and manages data quality feedback from users. And the Image Measurement widget performs measurements on image services that have mensuration capabilities. The app now includes support for six new URL parameters as well. It automatically saves the app state, including map extent and layer visibility, when users close their browsers. Other enhancements include more print, search, editing, and attribute-related improvements. ArcGIS Online has a new set of data collection templates for creating hosted feature layers that can be used with Collector. A user could create a map based on the Crop Scouting template, for example, to assess pest pressure and crop performance by evaluating the risk of pest infestations and disease. The redesigned app gallery makes it easier to choose configurable apps. Users can filter their search based on the app’s purpose and refine the set of apps that is available. This new, simple map viewer app has a minimalist user interface. It presents a map with just a scale bar and a zoom slider, but it can be configured to show a content panel with a legend, map details, or pop-up information. Crowdsource Polling has been enhanced and is now available in the Esri Featured Apps section of the gallery. A new version of Elevation Profile is available. Basic Viewer has been improved so that people with disabilities can access and use it more easily. This is part of Esri’s ongoing effort to design and implement accessible GIS products and technologies that align with the objectives of section 508 of the Rehabilitation Act. GeoForm and Crowdsource Reporter have been enhanced. Legend has been retired. Use Simple Viewer instead. Twitter has been retired. Use Public Information instead. To help manage expenses, administrators can assign a flexible amount of service credits to some or all users in their ArcGIS Online organization. This tool manages service credit expenditures for the most common services, including batch geocoding, network analysis, geoenrichment, demographics, and tile generation. This service credit budgeting does not apply to organizational credits used to store features, files, and tiles or app proxy usage. Rather, it focuses on services that can be individually consumed but that organizations might want to exert additional control over. 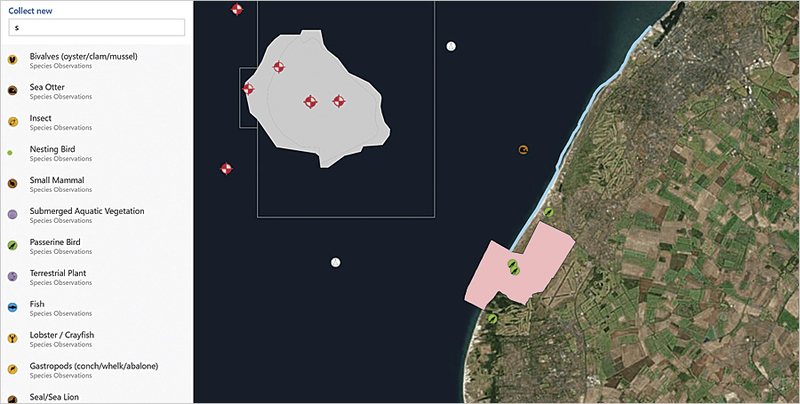 The new set of collection templates includes the Environmental Sensitivity Impact template, which identifies, ranks, and classifies sensitive areas and at-risk resources during an oil spill. Credit usage statistics can now be downloaded to a CSV file. A new series of apps reports is available too. These reports include aggregate and drill-down details on apps published by the organization; which app creation tools are used; and details on member sign-in activity, including frequency and usage patterns. The apps reports also show the organization’s most popular published apps and how many service credits are used for apps that employ the premium content app proxy capability. Administrators can now assign roles to existing ArcGIS Online users in bulk. Manage Licenses now supports AppStudio for ArcGIS Standard as well. To improve communication, organizations can configure the administrative contacts listed as points of contact. The ArcGIS Online administrators are now listed in automatic email notifications that are sent to users when they request password resets, user name assistance, service credit allocations, or modifications to their account so that users know whom to contact directly if they need more assistance. 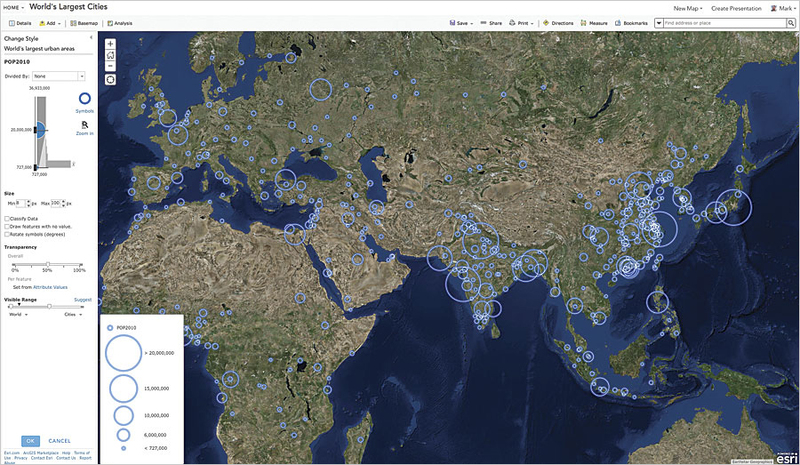 ArcGIS Online now supports encrypted Security Assertion Markup Language (SAML) 2.0. This significantly improves security compliance for enterprise logins.